As the years went by I started to try many styles and block shapes and many mistakes were made. Most were free form in the early years but soon I managed to purchase a few little wooden crown blocks. 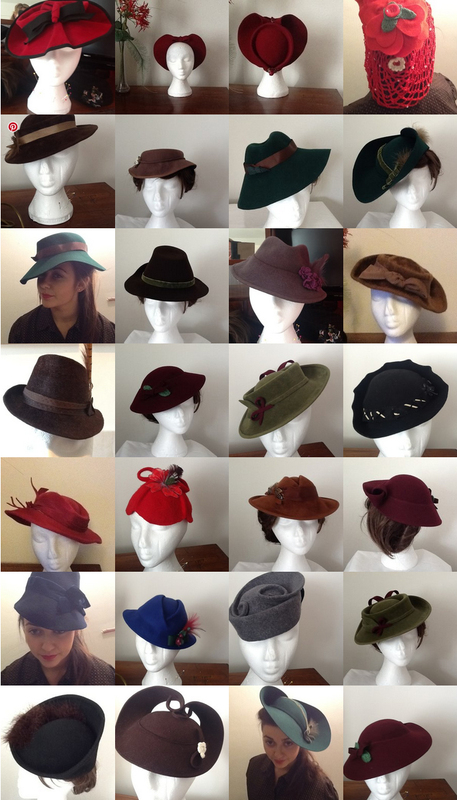 All of these and many more sold at events and it was such a great feeling to find a hat for someone who was convinced that they didn’t suit them! I was still working out of a bedroom at home but knew that I was going to have to spread! My wonderful patient husband was very long suffering of coming home to find hat stuff all over the kitchen table and sometimes in the living room too!